Change can be good, but not always. While Windows 10 is a great operating system, many people would prefer to stay with Windows 7. Stick with what they know and like. Microsoft now views Windows as a service, which means Windows 10 gets updated and changed a couple of times a year. In the latest iteration of the new operating system, Microsoft replaced the old Windows Defender with a new Universal Windows Platform (UWP) app version. 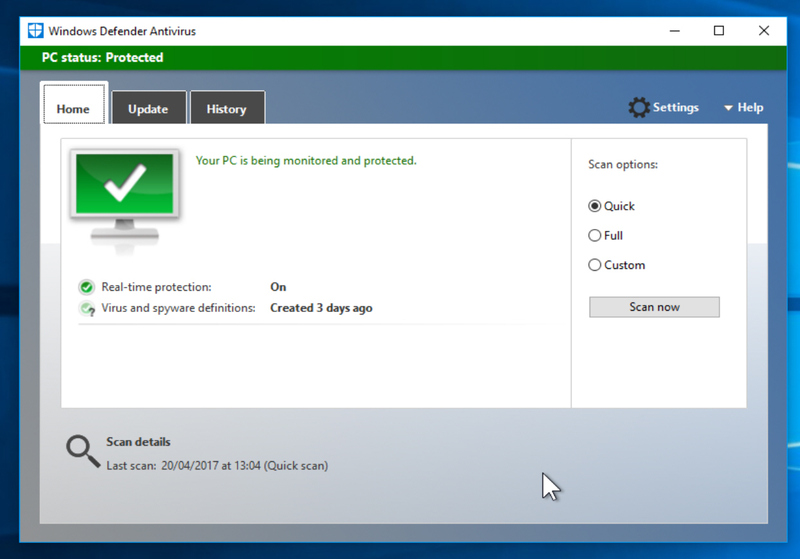 But if you don’t like this change, the good news is it’s easy to restore the classic version of Windows Defender. Locate MSASCui.exe. If you double-click this file, the old-style Windows Defender will launch. Click Next, name the shortcut, and click Finish. Now whenever you want to launch the classic version of Windows Defender just use this new shortcut. It seems to take a while to load, so be patient.